Development team leader, Clement Lefebvre, announced the release of the Xfce desktop version plus the version for LXDE from Linux Mint 8 (codename: Helena) on the Linux Mint blog. The Mint Linux is based on Xubuntu 9.10 Karmic Koala, Linux kernel 2.6.31, Xfce 4.6.1 and Xorg 7.4. Lefebvre promises numerous improvements and state of the art software. New are the configurable menus, multiple selection in the Software Manager and a system tray File Uploader. Linux Mint has created a website listing all the changes. The LXDE version is also available, writes Lefebvre. 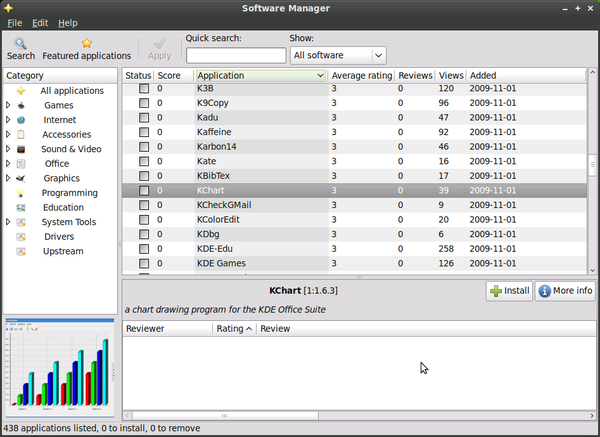 Clement Lefebvre has released new version of Linux Mint (Codename Gloria) available for download. This version includes a new menu and a reworked packet manager. Lead developer quells rumors that the Debian version is slated for center stage.